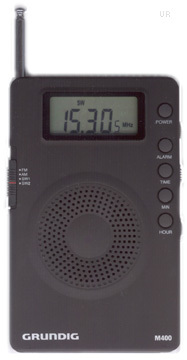 The Grundig M400 is a hand-held shortwave radio with analog tuning, but a digital display. The M400 is an updated model of the Grundig M300. This entry was posted in Grundig, Portables and tagged Grundig, Grundig M400, Grundig M400 Reviews, M400. Bookmark the permalink.